The Union Underground was a Nu-Metal/Hard Rock band based in San Antonio, Texas. The band members were Bryan Scott, Patrick Kennison, Josh Memelo and John Moyer. Two high school buddies, Bryan Scott (vocals) and Patrick Kennison (guitar) went on to make their own band after graduating. They had a studio in which they recorded, called Studio Underground. In the meantime, Josh Memelo (drums) and John Moyer (bass guitar) joined the band. They released an EP and sold more than 5,000 copies. Major record label Columbia noticed The Union Underground and signed them. Two high school buddies, Bryan Scott (vocals) and Patrick Kennison (guitar) went on to make their own band after graduating. They had a studio in which they recorded, called Studio Underground. In the meantime, Josh Memelo (drums) and John Moyer (bass guitar) joined the band. They released an EP and sold more than 5,000 copies. Major record label Columbia noticed The Union Underground and signed them. Afterwards they got a slot in Ozzfest 2001. On Tuesday July 18, 2000, the band released their debut album... An Education In Rebellion. The album sold around 350,000 copies. The hit singles Turn Me On Mr. Deadman, Revolution Man and Killing The Fly gained the band somewhat more popularity. In March 2002, Union Underground released the song Across The Nation. It was given to World Wrestling Entertainment to use as the theme song for their RAW brand. Although remixed for the show, Across The Nation has been its title track ever since. Following the song's release, it also got some radio airplay. On June 25, 2002, the band released Live...One Nation Underground, their only live album. Two years went by with nothing from The Union Underground. Finally, in the summer of 2004, an exclusive interview was conducted with Patrick Kennison. Patrick explained many things about The Union Underground, such as Bryan Scott having possibly been on drugs, also that he wanted to work alone and wanted everything perfect. Patrick also explained how Bryan wouldn't return the calls from Columbia. After getting angry with Bryan and his attitude, Patrick and the two other band members left The Union Underground. Patrick said the band name is co-owned by Bryan and himself. 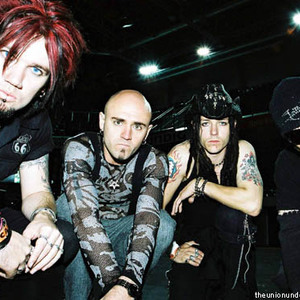 Patrick Kennison started his own band called 3-Faced, John Moyer is now playing bass for the nu-metal/heavy metal band Disturbed and Josh Memelo had a baby with his girlfriend and is now starting a family. Bryan Scott has formed a new band called Cult To Follow. To date, the only The Union Underground releases are: one studio album, one live album and the rare EP.